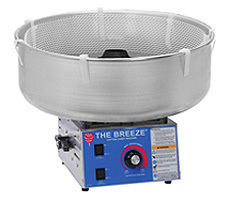 Welcome to our expanded cotton candy machine section. 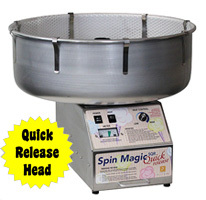 Loaded with super cotton candy machines and accessories. 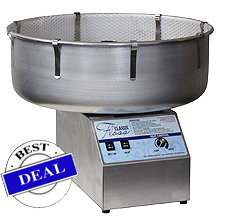 Choose from Gold Medal & Paragon floss maker machines. 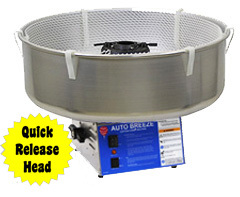 Each machine carries a two or three year warranty. 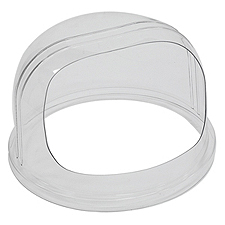 Lots of quality floss accessories to choose from. 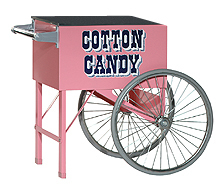 Floss carts, cotton candy stands, and cotton candy bubbles to just name a few. 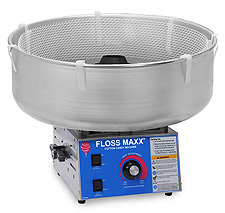 Top quality machines including Gold Medal's Floss Boss, Econo Floss, Breeze, Accu-Breeze and Super Floss Maxx. Many with Lock n Go capabilities. Paragon's cotton candy floss makers offer a three year warranty. The longest in the industry. Once you decide on the cotton candy machine, be sure to check out all the cotton candy floss flavors, cones, and holders in the cotton candy machine floss section. To view a machine CLICK ON THE PICTURE OR NAME. Remember, Concession Equipment.net is your source for Gold Medal cotton candy machines. Popular choices include, Gold Medal Floss Boss #3024, Gold Medal Econo Floss #3017, Gold Medal Stainless Steel Econo Floss #3017SS, Gold Medal Econo Floss #3017SR with Lock n Go, Gold Medal # 3016 Mega Floss, Gold Medal #3030 Breeze, Gold Medal #3030SR Lock n Go Breeze, Gold Medal #3042 Mega Breeze, Gold Medal #3040 Accu Breeze, Gold Medal #3042 Lock n Go Accu Breeze, Gold Medal #3052 Auto Breeze, Gold Medal #3052SR Lock n Go Auto Breeze, Gold Medal #3077 Super Floss Max. 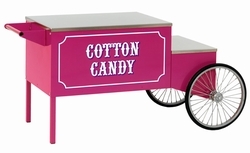 Dont forget to check out the matching Pinkie Cotton Candy Machine carts, Floss About cart, and of course, the double bubble. 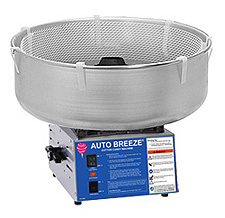 The high ouput cotton candy machine selection includes the Whirlwind 3015A, Whirlwind 3008ED, Whirlwind 3008SS, Tornado 3005ED, 3019 Twin Wind.